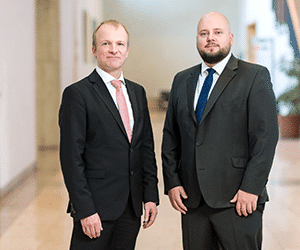 Up-to-date and well-prepared information, especially financial data, is an important basis for decision-making in private companies and the public administration sector. This decision-relevant information is often generated in different, unrelated systems and has to be merged in a complex way. In addition, the analysis options for that data are usually limited. We develop individual and sophisticated reporting, analysis and planning applications for companies of all sizes in the commercial sector. This includes solutions for planning or consolidation and individual data calculations as well as support for designing the process landscape. With AIOS Solutions, we support companies and organizations to extract a reliable decision from complex data and various systems with a customized BI application. Find out more about our services for individual BI solutions and the standardized BI modules from AIOS Solutions in brief or in detail on our website www.aios-solutions.com. Regarding costs and speed of implementation, the use of a business intelligence solution is recommended. The goal of using individual BI tools is to increase efficiency and improve the quality of reporting, accounting and controlling processes. Employees should be relieved of routine tasks and current decision bases should be made available in shortest time with high transparency. Complex BI solutions developed in close coordination with the users and featuring a differentiated source-system landscape in finance, accounting and controlling are a specialty of the AIOS BI team. Such a solution combines information from different systems or business applications and enables a simple generation of reports, analysis and calculations, e.g. of key figures. In their individual BI portals, our clients move dynamically between different data levels and analysis views. Based on the BOARD toolkit and MS SQL, AIOS has developed standardized applications such as a consolidation solution, an integrated planning and forecasting application and a risk management tool. The modules are adapted to the client-specific requirements during implementation. 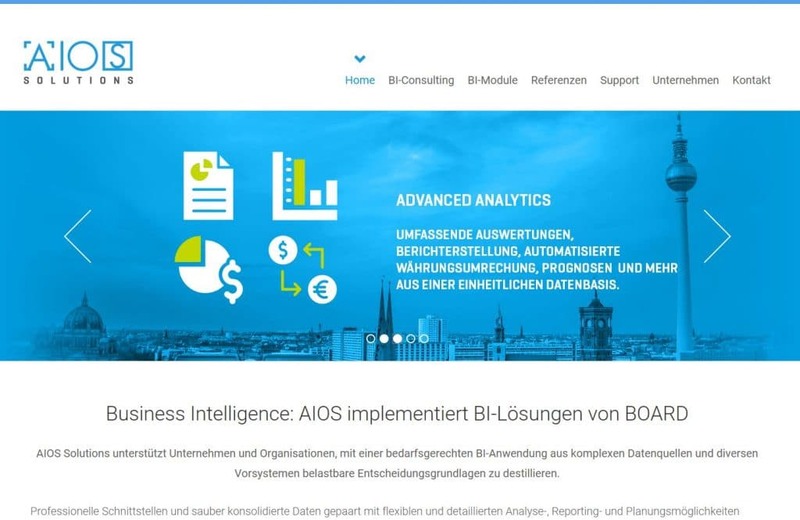 In recent years, AIOS has successfully implemented a variety of BI solutions for private companies and public administration. In this context, we have been and continue to be supportive in some cases with regard to process adjustments. 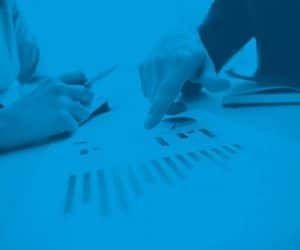 We have experience from requirements analysis to the implementation of complex business intelligence solutions and the necessary process adjustments. Challenge us! We have demonstrated our skills in working for the following selected companies and organizations. Further references and detailed case studies can be find here.